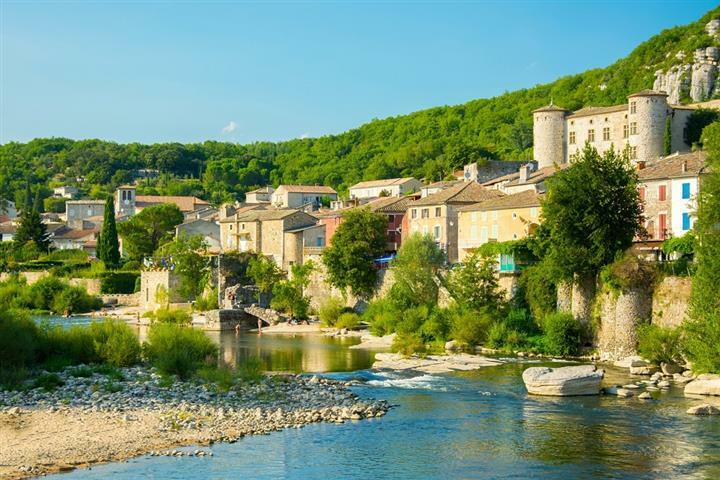 Is it necessary to present Ardèche, one of the favorite destinations for enthusiasts of nature and open air activities? The department has more to offer than its famous gorges, well-liked by canoeists. Dense forests, beautiful character villages, extraordinary subterranean caves and lookout points with breathtaking views are abundant. Not forgetting the picturesque markets where one can try chestnut cream and quality wine. Property in Ardeche is rich in old buildings and houses, as well as an occasional modern villa. So, you just need to decide where: Aubenas, Privas, the charming spa town of Vals-les-Bains, or Vogüé, listed as 'Villages of character'?